Mat Shoare Band * Schwervon! 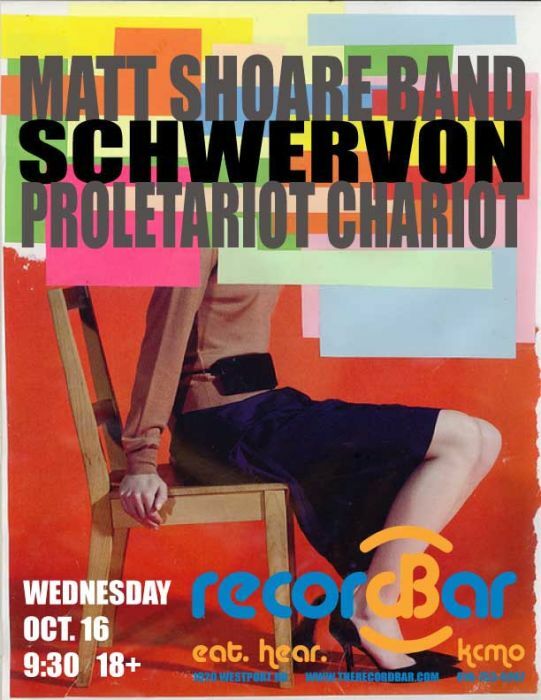 * Proletariat Chariot / Wed. Oct. 16 @ recordBar (KC, MO) | Schwervon! This entry was posted in Uncategorized and tagged KC indie rock, Mat Shoare Band, Proletariat Chariot, Recodbar, Schwervon!, Tour Kickoff. Bookmark the permalink.